Keith Alexis believes life is a story and all things, both the good and bad, contribute to our narratives. It is through these experiences God gives us fresh wisdom by which to teach others. Keith was born in Texas while his father was attending Bible College. He grew up the son of a pastor and evangelist. After completing his studies at the same Bible College from which his father graduated Keith surrendered to serve in ministry. Keith served as a youth pastor for two years in Louisiana and another five years in Arkansas. For nine years he toured as bass guitarist with the Christian band Tinman Jones. During these years the band had two top-ten singles and three other songs making it into the top twenty. Each night Keith delivered the Gospel message toward the end of the concert. Other career experiences include over a decade as an instrumentation technician at a chemical plant and a failed attempt to sell health insurance in Dallas. Today, Keith has a passion for working in the local church in the area of discipleship. He teaches a weekly adult Sunday school class, leads a Wednesday night young adult worship service, plays bass guitar on the worship team and other areas of local lay ministry. Keith describes himself as one who likes to blaze his own trail. He drinks Mt. Dew, lives in Arkansas, and has traveled across the United States and nine countries. Keith and his wife Terri have been married for over thirty-one years. They have a daughter and son who are both married, and two grandchildren. He is currently the owner of a successful web development and graphic design business, Astonished Man Design. 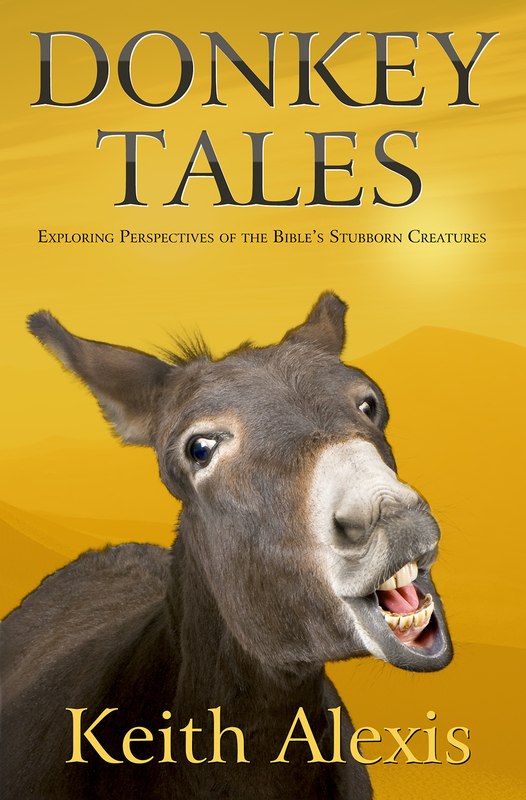 Donkey Tales brings to the forefront the often overlooked role of the donkey in Bible stories. Ten chapters highlight and explore spiritual truths with the donkey as the star. Some of these donkeys you may already find familiar, such as Balaam’s donkey or the donkey Jesus rode into Jerusalem. However there are also the not so familiar donkeys such as the donkeys of Anah and Abigail or the donkey that stood against a lion. These are just some of the donkeys taking center stage in Donkey Tales. This book offers Bible Study teachers, Sunday school teachers, book clubs, or anyone desiring to learn or teach a fresh approach to better understanding God’s word. Both young adult and adult markets representing both male and female will find it easy to engage with these stories. I have never encountered written materials with more clarity for readers of all ages than these that Keith presented in his book.